UPSEE 2016 Paper 1 Paper 2 Paper 3 Paper 4 Answer Key was Declared on same day on upsee.nic.in website. UPTU AKTU 2016 Entrance Exam Result on or Before 30th May 2016. 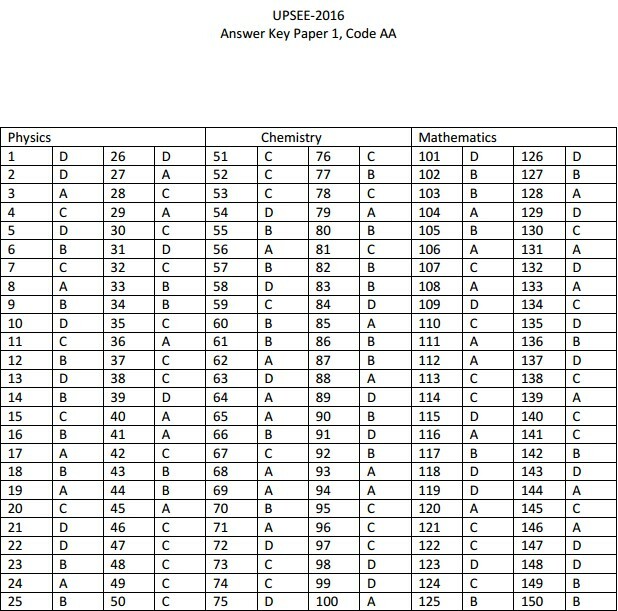 We upload some official answer key of UPTU AKTU Entrance Exam here uptunews.in. This year number of seat available in B.Tech MBA and other course is more than the students applying, it means every student will get seat in AKTU but the main fight is for top government and private colleges and branches in Uttar Pradesh which are affiliated from AKTU 2016.